It is officially for sale! The Spruce Kings Lottery show home flaunts the quality and craftsmanship expected in a top-tier home. Glorious vistas of the 7th fairway bask natural light over a beautiful, open layout which boasts a rich, finely-detailed evening maple kitchen with an enormous island and quartz countertops. 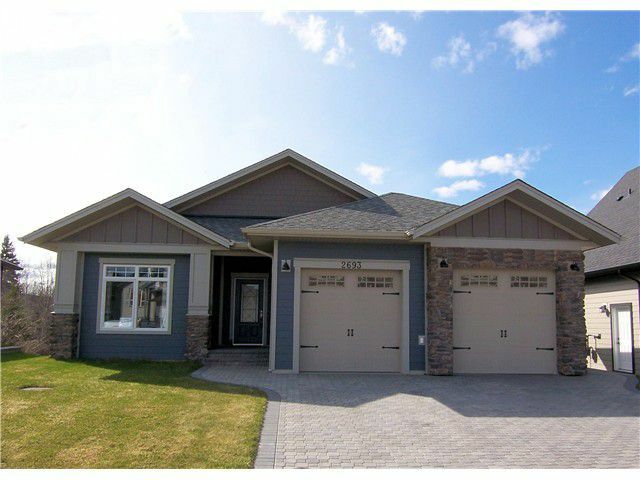 There are also 3 bedrooms up, including a master with deluxe ensuite and a fully-finished walk-out basement. There are absolutely tons of extras throughout the home, including nuevo classic lighting, large plate-style tile, honey birch hardwood flooring, glass railings, and more.